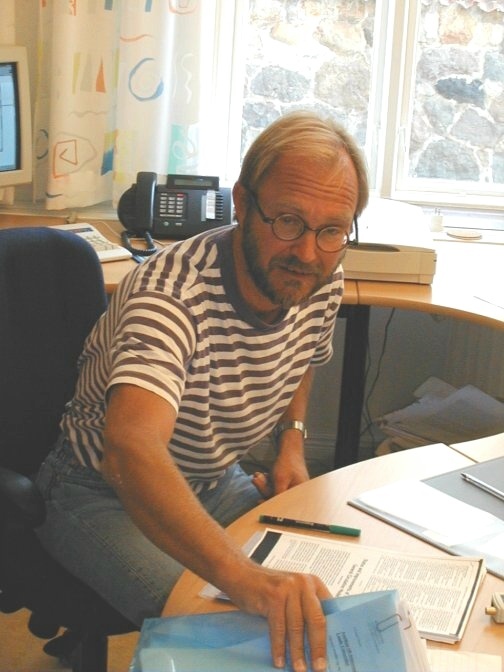 Lennart Olsson is Professor of Geography at Lund University and the founder of LUCSUS (Lund University Centre for Sustainability Studies), for which he was the director until August 2016. He is also the PI and coordinator of the Linnaeus Centre LUCID (Lund University Centre of Excellence for Integration of Social and Natural Dimensions of Sustainability). His research fields include human-nature interactions in the context of land degradation, climate change and food security/sovereignty in Africa and globally. His current research focuses on the politics of climate change in the context of poverty, food insecurity and ill-health in sub-Saharan Africa and beyond. He has had research positions in Australia, USA and Hong Kong and participated in several international assignments including the IPCC and UNEP-GEO assessments. Most recently, he was coordinating lead author for the chapter on livelihoods and poverty (Chapter 13) in IPCC’s 5th Assessment Report, WG II, 2011-14. Ahlberg, E., Akselsson, R., Akselsson, C., Andresen, L. C., Ardö, J., Björk, R. G., Björnsson, L., Boyd, E., Brady, M. V., Brogaard, S., Brönmark, C., Carlsson, P., Carton, W., Chen, D., Coria, J., Döscher, R., Filipsson, H. L., Frank, G., Friberg, J., Gaillard, M-J. & 45 othersGamfeldt, L., Gärdenäs, A., Hallquist, M., Dan Hammarlund, Lars-Anders Hansson, Heuzé, C., Jutta Holst, Christina Isaxon, Johan Jansson, Margareta Johansson, Thomas B Johansson, Kasimir, Å., Kjellström, T., Till Koglin, Torsten Krause, Adam Kristensson, Emma Kritzberg, Jessica Wadin, Aliaksei Laureshyn, Karin Lundgren Kownacki, Jakob Löndahl, Johan Martinsson, Paul Miller, Kimberly Nicholas, Tobias Nielsen, Alexandra Nikoleris, Lennart Olsson, Joakim Pagels, Frans-Jan Parmentier, Andreas Persson, Pleijel, H., Honor C Prentice, Karin Rengefors, Pontus Roldin, Slunge, D., Henrik G. Smith, Moa Sporre, Birgitta Svenningsson, Erik Svensson, Erik Swietlicki, Uddling, J., Wallin, G., Ahlkrona, J., Anderson, K. & Andersson, A., 2019 Mar 15, Dagens nyheter (DN debatt). Johannes Persson, Emma Johansson & Lennart Olsson, 2018 Dec 6, In : Ecology and Society. 23, 4, 38. Johannes Persson, Alf Hornborg, Lennart Olsson & Henrik Thorén, 2018 Oct 24, In : Ecology and Society. 23, 4, 11 p., 14.